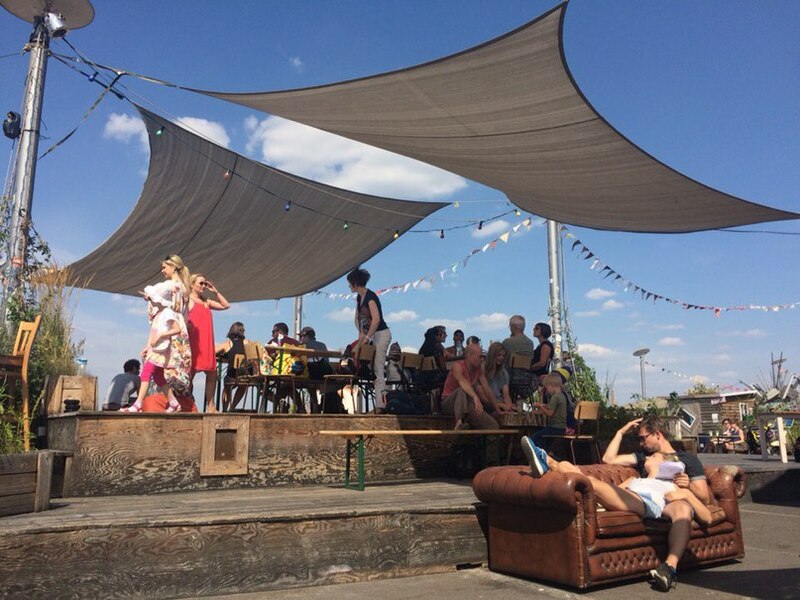 Klunkerkranich located in the roof of garage in Neukoelln Arcaden near to the centre of Berlin, is a magnificent place for having a rest after long shopping and seeing Berlin from a bird’s eye view. Here you can find an alternative to Berlin TV tower or Berliner Dom with amazing city perspective, but without any fee! Klunkerkranich, with pretty cafe and nice bar, is an excellent place to have meal or some drinks as well as to spend time observing city. 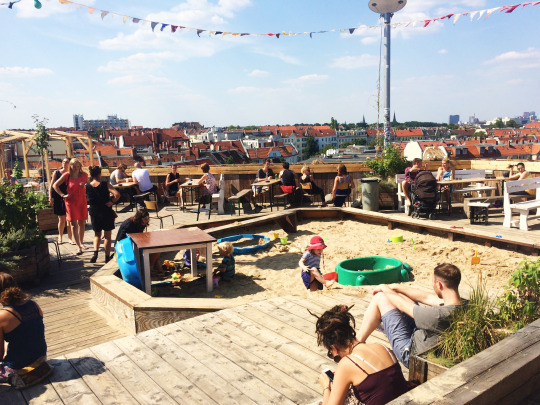 In the Klunkerkranich everyone can find something suiting his/her taste: children playground for parents with children, small garden with greenhouse, cinema under the sky, dancefloor for cool parties and sunset. 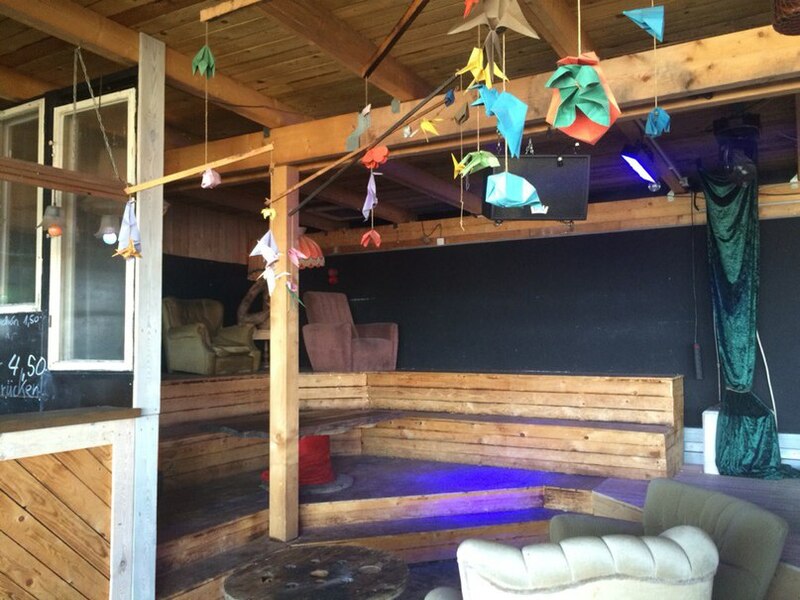 This space is open for musicians, artists and performers.